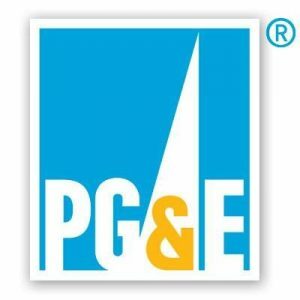 Pacific Gas and Electric Company (PG&E) today announced that it will be implementing a series of additional precautionary measures intended to further decrease wildfire threats in communities that are at higher risk of wildfires, as well as additional support for its customers and their families impacted by the Camp Fire in Butte County. “The families impacted by Camp Fire are our customers, our neighbors, and our friends, and our hearts go out to those who have lost so much. We are committed to supporting them through the recovery and rebuilding process and helping protect all of the customers we serve from the ever-increasing threat of wildfires,” said Geisha Williams, PG&E Corporation CEO and President. “Aaron has the expertise and experience to lead our on-the-ground response efforts as we continue our efforts to help our customers and their communities recover and start to rebuild,” Williams said. Enhanced Vegetation Management: As shared in early November and a part of the company’s 2020 General Rate Case, addressing vegetation that poses a higher potential for wildfire risk, such as overhanging branches and limbs directly above and around power lines, and trees that are at an increased risk of falling into lines as well as dead and dying trees. More Real-Time Monitoring and Intelligence: As shared in early November and a part of the company’s 2020 General Rate Case, expanding PG&E’s weather station network to enhance weather forecasting and modeling. By 2022, PG&E will add approximately 1,300 new weather stations, a density of one station roughly every 20 miles in the high fire-risk areas. In addition, PG&E plans to install nearly 600 new, high definition cameras in high fire-threat areas by 2022, increasing coverage across high fire-risk areas to more than 90 percent. I am curious if the distance apart of the transmission towers plays into problem. Those wires are heavy and the farther apart the towers the more weight and movement of the wires. Anyway I hope they figure out where they went wrong and fix the problem. Get ready to open your wallet. There are industry standards and standard methods of calculations when designing transmission lines and towers…. after the horses have already got out? …meanwhile their employees’ pay should be frozen. Why not? They make a sh*tload as it is. They should also give up the discount they get on their gas and electric bill each month while the rest of us pay out the nose. Their lunch and dinner stipends don’t need to remain astronomically high while the rest of us are taking it in the shorts due to the company’s negligence? Why should the rest of us just keep feeding the pit? Because our democratic state legislators believe they are too big too fail. There was an article in the paper today indicating they want a huge price increase for electricity and an increase for gas to pay for all of this…how long will we continue to pay for their mistakes? How long will democrats continue to stick it to ratepayers and taxpayers with their liberal policies? You could not be More incorrect. Luncheons have been cut off over 5 years ago. They also paid an outside company to see in what other areas PG&E can be more LEAN. Every dept is feeling the squeeze. Yes. I am afraid they are very overpaid and obviously not paying attention. Let them go bankrupt and then we can have a privately smarter organization in charge. SICK OF PGE. Of course, CRICKETS from the Media. Let’s all blame PGE so that we All will have to pay for it rather than the terrorist or saboteur who caused the fire. Really? The “reported” bullet holes could be years/decades old. Any connection to actual cause of fire is calculated speculation, and part of the attempt to shift blame. Yep, blame the big guy so WE all will have to pay. Seems logical. The reported bullet holes would be turned in as evidence. I am pretty certain that a competent CSI tech can determine if the bullet holes are years/decades old or more recent than that. If those bullet holes are found to be recent, I would argue that this is not PG&E’s fault, but they will pay for the repairs anyway, along with every insurance company involved. What about the lines found with branches on top of them? Is that speculation as well? I personally feel we are all to blame for this? How many of us would pay extra to put the lines under ground? Or do you think the environmentalist would allow them to trim the trees, or maybe even remove those that are within 25 feet of a power line? People would scream at the higher price. People would scream at the damage to the trees or some spotted owl/mouse/bug. They would scream that it is to expensive …. but what the 80+ lives worth? What about the folks that lost homes, business and livelihoods? What about those with respiratory ailments that were affected because the smoke drifted 100 miles away and they had to stay in their house because the smoke would cause a life-threatening asthma attack? Just curious as to how that compares to the loss of a few trees, or the cost to bury lines? You would not like the bill for putting 115,000 volt transmission lines underground. Caribou-Palermo transmission line was reportedly built in 1919. Would still like to know time interval between utility being aware of damage to the tower / lines and subsequent failure. IF what is being put out is possible, damage from rifle fire, wondering if FBI should take over the investigation . . . . . . Given loss of life believe investigation should be take away from the utility. But in this state doubt if that will happen. George Lucus has offered to pay to bury utility lines in his San Anselmo CA neighborhood to the tune of close to a million dollars … a figure not that distant from what the taxpayers in MDUSD paid to CVCHS Director David Linzey and his wife to get out of town. Seems like burying even some of the utility lines might have been a better use of the money benefiting a greater number of people, but that’s just my opinion. Sure, my neighborhood would look better with buried lines – am I willing to foot the bill though, no. SMUD provides electricity to customers in Sacramento for 40% less than what PG&E charges its customers. I want what they’re having. End the monopoly. End the extortion. The problem is that it’s also subsidized by other taxes. You want what they have? Them move. They forgot to add that they will be implementing a series of additional precautionary fees to our bills. Now would be a good time to go solar. That incompetent liar, Gov Brown and his pack of swallowers, are doing their utmost to place the entire fault for the fire damage in the lap of PG&E. They will ensure the PUC authorizes enough of our money in cost increases to pay for damages, law suits, and a nice tidy sum to placate those who will carry the blame. Maybe PG&E is responsible for starting the fires but Brown and his foolish swallowers bear the responsibility for failing to properly maintain the forests that burned, destroyed homes and business, and killed people. The most important issue is maintaining the reputation and legacy of one of the worst governors to mismanage California.